Reality often ends up so very far from the life we long for, doesn't it? 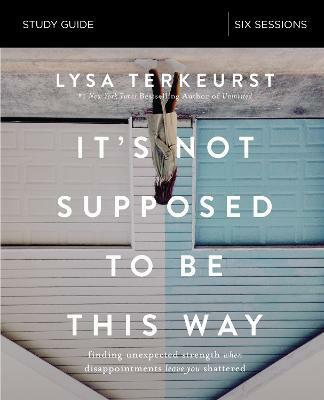 Bible teacher Lysa TerKeurst deeply understands daily disappointments and life-altering loss. By walking through her own valley, she's discovered that in God we can find unexpected strength as we wrestle well between our faith and feelings. Designed for use with It's Not Supposed To Be This Way Video Study (9780310094364), sold separately.